Diabetic Retinopathy is one of the scariest (to me) health risks we have as a diabetic. The thought of losing my eyesight doesn't bear thinking about, which is why I am so careful about getting an in-depth eye-check every year. Knowing as much as possible about diabetic eye disease gives us the armour we need to protect ourselves. The information below is extracted from a very informative website (with their permission). I've included it here for your convenience, but you can visit the original website if you wish - the link is at the bottom of this page. Cataract — clouding of the eye's lens. 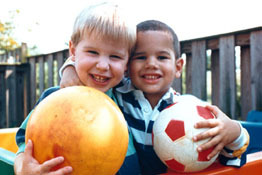 Cataracts develop at an earlier age in people with diabetes. All people with diabetes--both type 1 and type 2--are at risk. That's why everyone with diabetes should get a comprehensive dilated eye exam at least once a year. The longer someone has diabetes, the more likely he or she will get diabetic retinopathy. Between 40 to 45 percent of Americans diagnosed with diabetes have some stage of diabetic retinopathy. If you have diabetic retinopathy, your doctor can recommend treatment to help prevent its progression. During pregnancy, diabetic retinopathy may be a problem for women with diabetes. To protect vision, every pregnant woman with diabetes should have a comprehensive dilated eye exam as soon as possible. Your doctor may recommend additional exams during your pregnancy. The Diabetes Control and Complications Trial (DCCT) showed that better control of blood sugar levels slows the onset and progression of retinopathy. The people with diabetes who kept their blood sugar levels as close to normal as possible also had much less kidney and nerve disease. Better control also reduces the need for sight-saving laser surgery. This level of blood sugar control may not be best for everyone, including some elderly patients, children under age 13, or people with heart disease. Be sure to ask your doctor if such a control program is right for you. Other studies have shown that controlling elevated blood pressure and cholesterol can reduce the risk of vision loss. Controlling these will help your overall health as well as help protect your vision. At first, you will see a few specks of blood, or spots, "floating" in your vision. If spots occur, see your eye care professional as soon as possible. You may need treatment before more serious bleeding occurs. Hemorrhages tend to happen more than once, often during sleep. Sometimes, without treatment, the spots clear, and you will see better. However, bleeding can reoccur and cause severely blurred vision. 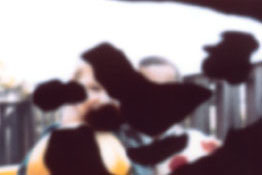 You need to be examined by your eye care professional at the first sign of blurred vision, before more bleeding occurs. During the first three stages of diabetic retinopathy, no treatment is needed, unless you have macular edema. To prevent progression of diabetic retinopathy, people with diabetes should control their levels of blood sugar, blood pressure, and blood cholesterol. Proliferative retinopathy is treated with laser surgery. This procedure is called scatter laser treatment. Scatter laser treatment helps to shrink the abnormal blood vessels. Your doctor places 1,000 to 2,000 laser burns in the areas of the retina away from the macula, causing the abnormal blood vessels to shrink. Because a high number of laser burns are necessary, two or more sessions usually are required to complete treatment. Although you may notice some loss of your side vision, scatter laser treatment can save the rest of your sight. Scatter laser treatment may slightly reduce your color vision and night vision. Scatter laser treatment works better before the fragile, new blood vessels have started to bleed. That is why it is important to have regular, comprehensive dilated eye exams. Even if bleeding has started, scatter laser treatment may still be possible, depending on the amount of bleeding. If the bleeding is severe, you may need a surgical procedure called a vitrectomy. (hyperlink to question What is a vitrectomy?) During a vitrectomy, blood is removed from the center of your eye. Macular edema is treated with laser surgery. This procedure is called focal laser treatment. Your doctor places up to several hundred small laser burns in the areas of retinal leakage surrounding the macula. These burns slow the leakage of fluid and reduce the amount of fluid in the retina. The surgery is usually completed in one session. Further treatment may be needed. A patient may need focal laser surgery more than once to control the leaking fluid. If you have macular edema in both eyes and require laser surgery, generally only one eye will be treated at a time, usually several weeks apart. Focal laser treatment stabilizes vision. In fact, focal laser treatment reduces the risk of vision loss by 50 percent. In a small number of cases, if vision is lost, it can be improved. Contact your eye care professional if you have vision loss. You will need someone to drive you home after surgery. Because your pupil will remain dilated for a few hours, you should bring a pair of sunglasses. For the rest of the day, your vision will probably be a little blurry. If your eye hurts, your doctor can suggest treatment. Laser surgery and appropriate follow-up care can reduce the risk of blindness by 90 percent. However, laser surgery often cannot restore vision that has already been lost. That is why finding diabetic retinopathy early is the best way to prevent vision loss. If you have a lot of blood in the center of the eye (vitreous gel), you may need a vitrectomy to restore your sight. If you need vitrectomies in both eyes, they are usually done several weeks apart. A vitrectomy is performed under either local or general anesthesia. Your doctor makes a tiny incision in your eye. Next, a small instrument is used to remove the vitreous gel that is clouded with blood. The vitreous gel is replaced with a salt solution. Because the vitreous gel is mostly water, you will notice no change between the salt solution and the original vitreous gel. It answers questions about causes and symptoms, and discusses diagnosis and types of treatment. It was adapted from Don't Lose Sight of Diabetic Eye Disease (NIH Publication No. 04-3252) and Diabetic Retinopathy: What You Should Know (NIH Publication No. 03-2171). The National Eye Institute (NEI) conducts and supports research that leads to sight-saving treatments and plays a key role in reducing visual impairment and blindness. The NEI is part of the National Institutes of Health (NIH), an agency of the U.S. Department of Health and Human Services.